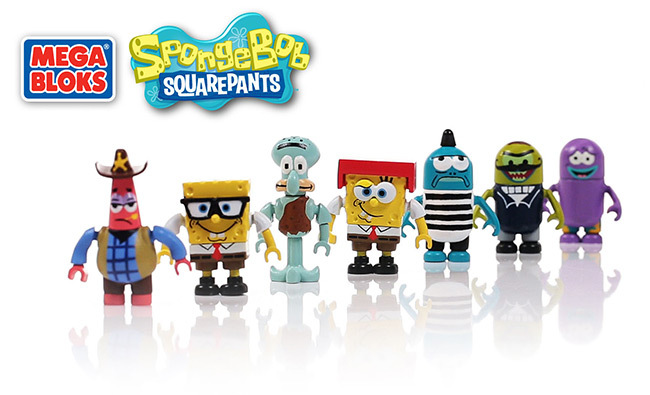 Discover Mega Bloks Building Events & Great Holiday Deals Now! MONTREAL, Dec. 5, 2013 - MEGA Brands, the Montreal-based maker of Mega Bloks building toys, celebrates the launch of the all-new Mega Bloks Outlet Store at Centropolis Laval. From December 4th through the 29th, families can discover great deals on some of the season's hottest building toys for fans of all ages. Special offers include volume discounts & door crasher deals, as well as special pricing across all featured categories. The one-stop-shop will offer much more, with two play areas complete with building tables, thousands of blocks, and building tutorials for kids to enjoy. Shoppers will also have the chance to take pictures with the MegaMan mascot, and several life-size Mega Bloks builds, including a Mega Bloks Hot Wheels® BoneShaker™. Store Hours: Open Daily, from December 4th to December 29th inclusively. MONTREAL, Nov. 22, 2013 - MEGA Brands, the Montreal-based maker of the world-renowned Mega Bloks, will be celebrating the start of the holiday season with its friends around the city, starting this weekend with several events leading up to the New Year! MEGA kicks off the season on Saturday, November 23rd at this year's "Destination centre-ville" Santa Claus Parade with a must-see giant 48-foot float complete with a full Winter Wonderland theme! The Mega Bloks team will be greeting spectators and handing out thousands of free gifts to kids throughout the entire event, featuring popular buildable micro-action figures including Mega Bloks Halo, Mega Bloks Hot Wheels and Mega Bloks Barbie. Also, making his first appearance, lookout for Mega Bloks' all-new friendly mascot, MEGA Man! Ludovica Miniland: world's most spectacular miniature Mega Bloks city! MONTREAL AND NEW YORK, Oct. 8, 2013 - MEGA Brands Inc. and Activision Publishing, Inc., a wholly owned subsidiary of Activision Blizzard, today announced a new premium line of Mega Bloks Collector Construction Sets based on the Call of Duty® franchise. The brand new line will be celebrated with an exclusive launch event at this week's Comic Con in New York, one of pop culture's biggest conventions from October 10th to the 13th. 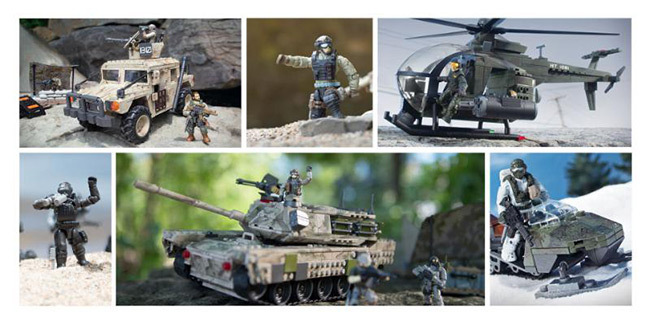 The Call of Duty Collector Construction Sets bring a new level of sophistication and detail never before seen in the highly collectible construction category. Call of Duty Collector Construction Sets are part of a multi-year, global license with Activision that expands upon the two companies' remarkable success in developing innovative, creative and entertaining construction collectibles. MONTREAL, Aug. 28, 2012 - MEGA Brands Inc. - After a successful and exciting first year, Mega Bloks will soon launch their second edition of the Halo Toymation Fest, a community-driven competition in which Halo fans can create and submit their own Mega Bloks Halo toymations (stop motion animations featuring toys) for a chance to win incredible prizes. The official 2012 Mega Bloks Halo Toymation website (http://halo.megabloks.com/en/toymation), launched on August 3rd, will once again be the home page to many hopeful contestants. At this time, fans can visit the site to learn more about the different genres of videos they will be allowed to submit, discover the panel of judges and the amazing prizes to be won, receive details about the voting criteria and tips on stop motion animation. Event: Mega Bloks and Power Rangers present the "MEGA Mural" to Motiva Associates, a service provider for families in southern California. SAN DIEGO, CA, July 13, 2012 - Come join the Power Rangers and the Mega Bloks team as they deliver their "MEGA Mural" to the devoted volunteers and children at Motiva Associates. What is the MEGA Mural? Mega Bloks created the ultimate building experience at this year's San Diego Comic-Con (July 12th to 15th), by transforming their booth into a community build wall -- the MEGA Mural. Mega Bloks invited Comic-Con guests to visit their booth to add as many blocks as they wished to the MEGA Mural in order to help build a giant Mega Bloks Power Rangers Red Ranger Mask. Mega Bloks, an active supporter of organizations dedicated to autism, would like to reward Motiva Associates with the MEGA Mural for their dedication to children and families affected by this disorder. MONTREAL, May 30, 2012 - MEGA Brands Inc. and Activision Publishing, Inc., a wholly owned subsidiary of Activision Blizzard, Inc., announced today that they have entered into a multi-year, global licensing partnership to develop MEGA BLOKS & MEGA PUZZLES toys and puzzles inspired by Skylanders Giants™, the sequel to the #1 new kids videogame IP of 2011 - Skylanders Spyro's Adventure™. The phenomenally successful Skylanders Spyro's Adventure video game franchise was the first ever to successfully merge physical toys and a virtual game world across leading videogame consoles. 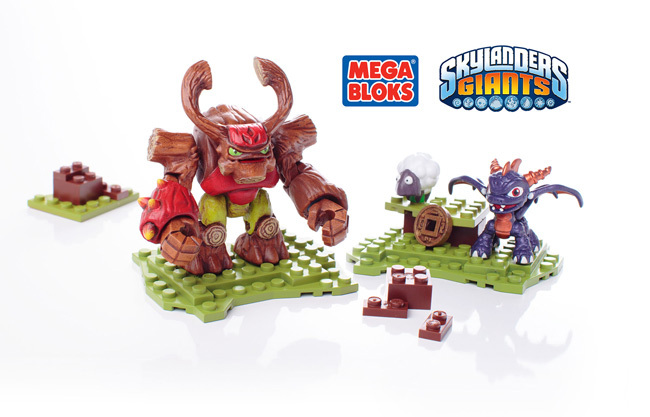 Starting this fall, Mega Bloks will take this adventure to another level by offering kids and collectors the ability to build and rebuild the wonderful characters and magical worlds from the new and highly anticipated Skylanders Giants video game. MONTREAL AND EL SEGUNDO, Calif., March 29, 2012 - MEGA Brands Inc. announced today a multi-year global licensing partnership with Mattel, Inc. - the world's largest toy company - to develop construction toys based on the world's most iconic kids brands, Barbie® and Hot Wheels®. The new lines will be available at retail starting in spring 2013. This strategic alliance leverages the MEGA Bloks brand and its expertise by bringing Mattel's most powerful properties to life in the fast-growing construction toy category. Consolidated total net sales in 2011 increased 2% to $376.8 million compared to $368.0 million in 2010. Sales increased 2% in Toys product lines and 3% in the Stationery & Activities segment. On a geographic basis, sales were up 1% in North America and 5% in international markets. Reported net earnings were $8.3 million in 2011 compared to $131.1 million in 2010. Reported earnings in 2011 include a $3.0 million loss on the settlement of debt in 2011 and, in 2010, a $144.3 million gain on the settlement of debt and transaction costs and other expenses of $13.4 million.